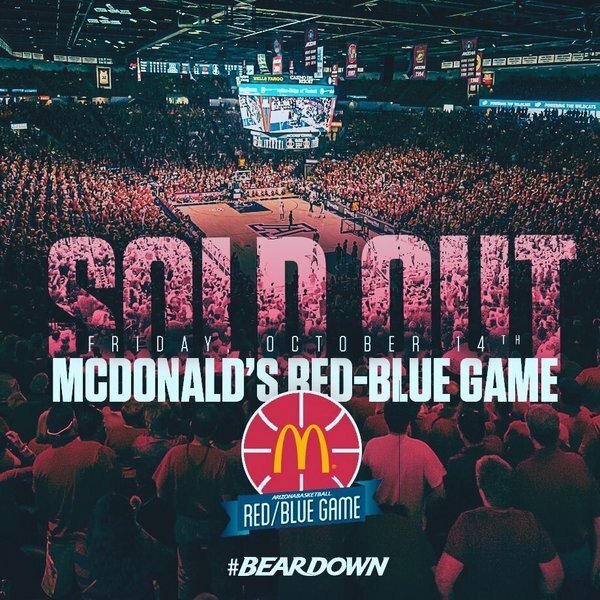 Get a recap of news from Arizona's Red-Blue Game. Alkins, Trier, Allen, Smith, Ristic will be starting lineup. 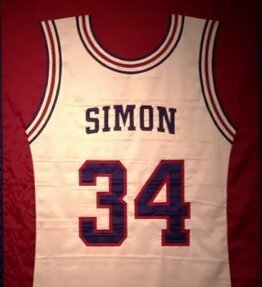 Miles Simon at his jersey retirement ceremony, on the mic to Lute Olson: "Thanks for coming to Tucson." Legendary Mater Dei coach Gary McKnight also on the court for Simon’s honor. Also coached Stanley Johnson. Simon said he had tears in his eyes when @Greg_Byrne told him he’d be having his jersey retired. 1997 team at half court, Miles Simon holding up the title plaque. Ristic 9 points on 4-5 shooting for the red. PJC also had 5 assists and a 3-pointer for the red. Red and Blue tied at 24 at half. Markkanen with 10 points (2-3 3pt) and four rebounds for the Blue in the 12 minute half. Great half for Dusan Ristic - soft hands, nice touch, has push shots in the lane, can go to either hand. Has come a long way physically. Man, Lauri Markkanen is going to be a fun watch this season. Ristic is looking good on the offensive end. Ray Smith, with no hesitation, just made a very contested jumper and made it look easy.
.@Iam_RawleAlkins just dunked on Sean Miller. This is not a drill. Kobi Simmons missed a 360 then makes one. Getting a mix between 8-10. If @Iam_RawleAlkins gets to NBA, he is Dunk Contest entry, no question. 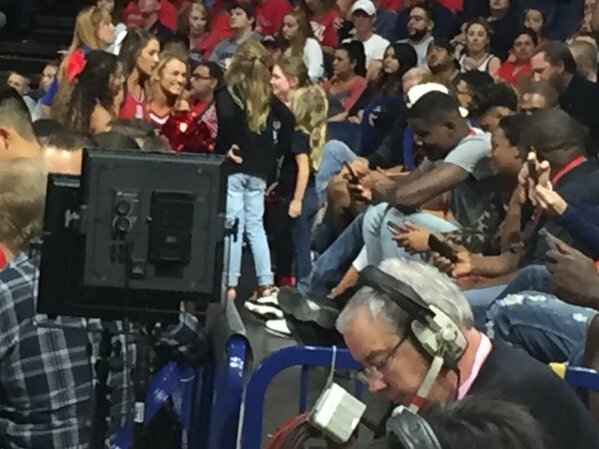 But will Sean Miller be his prop? And he did! Alkins wins probably. All 10s. Miller was scared for his safety. RAWLE ALKINS JUST LEAPED OVER SEAN MILLER! That was exciting. #arizonawildcats did get versions of new red and new blue uniforms for use in tonight's Red-Blue Game.